While the three-day venture described in the article was not actually “pioneering” or the “first time there has been any animal welfare education delivered in (Aitutaki) schools…” as stated in the article, it was an important step toward maintaining and growing awareness of the value of one of the Cook Islands’ most extraordinary assets, its four-legged companions. Education has always been a core element of the Esther Honey Foundation mission. Experienced veterinarians and the founder’s years as a programme coordinator for one of the largest international animal protection organisations in the US helped inform the board in developing and pursuing its education outreach goals. The Cook Islanders who served as EHF animal clinic directors for many years also educated board members and volunteers about the Cook Islands in an invaluable exchange of information that still benefit the animals and the community. EHF established a solid record of community service, not only through providing quality veterinary care and free spay and neuter services, but also teaching by example, disseminating animal health and humane treatment information to six islands through children’s education programs, clinic open days, Saturday market tabling, local newspaper articles, EHF’s Vet Talk column, televised and radio public service announcements, clinic tours for students, teachers, tourists, providing presentations and assistance to the agriculture ministries, advising authorities and treating the victims of animal abuse and neglect in addition to offering animal care internships for local volunteers. In 2012, for example, Esther Honey’s Animal Health & Humane Education programme reached all 10 Rarotonga primary schools, five secondary schools, and Aitutaki’s two primary schools. EHF’s school presentations reached a documented 1,188 children and 78 adults during those presentations with many more being educated during their visits to the Esther Honey Clinic. To date, the foundation has conducted 117 EHF Vet Treks including 32 to Aitutaki. School presentations are encouraged during all EHF Vet Treks. 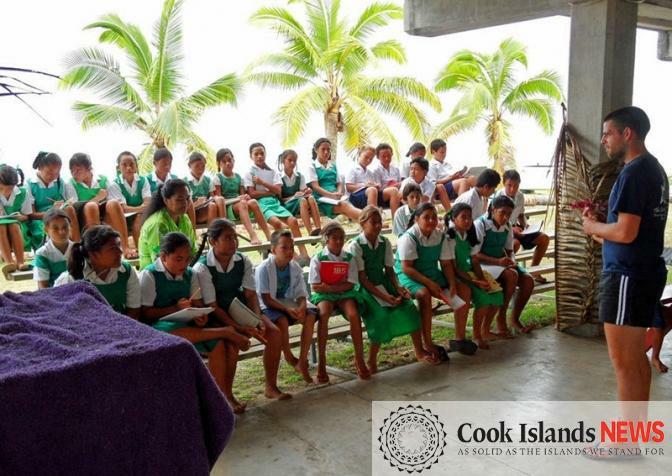 In 2008, Esther Honey introduced the Five Freedoms programme, identified in the news article as being a part of the new plan, to the Cook Islands in school presentations for Rarotonga, Aitutaki, and Mangaia. EHF is confident that the school children’s “impressive” and “fantastic” knowledge about animals’ basic needs described in the article was due, at least in part, to the 22 years of Esther Honey Foundation school presentations and the hundreds of dedicated EHF volunteers who travelled to the South Pacific to help deliver the information that created a new mindset for young and older people about the value and care of the animals of the Cook Islands. ← The Open Road with Dr. Chris – Features EHF!